Toshi Onizuka was born in Tokyo, Japan. 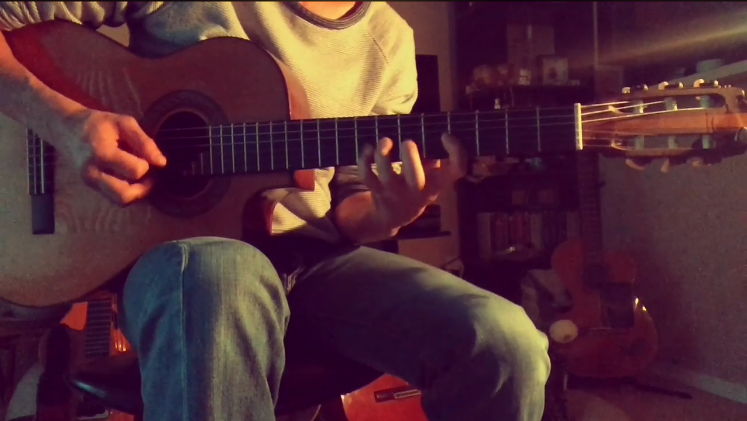 At twenty years old, he began playing guitar. Inspired by the music of Al DiMeola, Paco De Lucia, and Django Reinhardt, Toshi sought to develop his own sound. Toshi realized that in order to achieve this, he would need to teach himself. He quickly became consumed with the guitar and devoted himself completely to developing his technique. In 1993 he moved to Seville, Spain where he lived for five years. Based in Seville, Toshi immersed himself in the Spanish music scene, playing with as many musicians as he could, traveling to different parts of the the country as well as Morocco. Two of those years Toshi spent performing and touring with the internationally acclaimed Flamenco fusion group Pata Negra. While in Spain, Toshi developed a fascination with rhythm which can be heard in his playing today. In 1997 he released his first solo CD, Toshi, an effort that featured musicians from Spain and Brazil and included all original songs written and produced by Toshi. 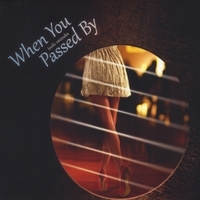 Toshi has appeared on the recordings of various artists including the internationally acclaimed singer Gino Vanelli. He has collaborated with a variety of local artists including Lawson Fusao Inada, Oregon’s 2006-2008 Poet Laureate, Portland Taiko, Bobby Torres, and Aaron Meyer. 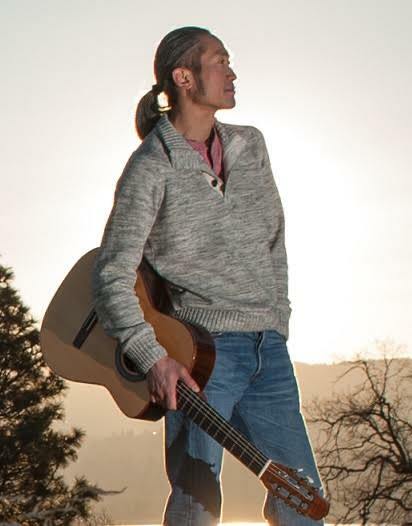 In January 2008 he was featured on OPB’s Oregon ArtBeat and has been featured on KMHD’s Home Grown Jazz and Home Grown Live and has taken the stage at numerous northwest events such as the Cathedral Park Jazz Festival, Art in the Pearl, the Dragon Moon Festival, and the Sandy Summer Concert Series. Toshi released his second solo CD, Voy Con Fusión in September 2008, a creation which he describes as a musical stew consisting of flamenco, jazz, rock, and hip hop. 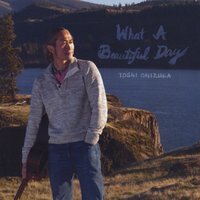 Toshi has become known for his keen improvisational skills and his distinctive sound that uniquely combines flat picking with dynamic percussive sounds made on the surface of his guitar. Crticis have said that Toshi makes it seem as if “two guitars were playing,” Pamela Ellgen, The Asian Reporter, that his “fingers move like a butterfly fluttering its wings as he shows how he plays his flamenco-flavored jazz-fusion music,” Rob Cullivan of the Gresham Outlook, and that “Onizuka has found it in his way-talented heart to bless Portland with his classy, delicate playing,” Max T. Malt of the Willamette Week. Toshi’s music isn’t easily categorized and can’t be limited to a specific genre; he prefers to think of it as a truly international sound that knows no borders and has no boundaries. Toshi currently resides in Portland, Oregon where he performs nightly with local talent such as Israel Annoh, Damian Erskine, Mariano Deorbegoso, Jon Hughes, Phil Baker, Reinhardt Melz among others, at various local venues. Toshi regularly appears at the following restaurants and is available for private events and travel. Check out Toshi’s Facebook page for changes in the schedule below. Toshi’s schedule at Bluehour is subject to change. Check out Toshi’s Facebook page for updates. Not only is Toshi Onizuka a master of the passionate Spanish guitar, but he also has a very special way of communicating the tranquility and beauty of the Portland Japanese Garden to our guests with his warm and genuine spirit. We love having him perform at the Garden. Thank you for playing at our wedding out at Garden Vineyards. As always, your music was incredible and all of our guests had wonderful things to say about you and Julana. It truly was just what we wanted for our wedding…Laura – I cannot thank you enough for your hard work in making all of this possible. Thank you again to both of you for helping make our wedding wonderful… we still talk about how great Toshi was…We look forward to hearing you play again in the future! We first heard Toshi at a friend’s wedding and fell in love with his unique Flamenco sound. When it came time to plan for our own wedding, he was the first to come to mind and we didn’t look any further. His music and guitar playing were extraordinary and exquisite. In fact, the majority of our guests asked us where they could hear him play in town. I would hire him again without any hesitation! Toshi played at an intimate corporate event I hosted at the Ponzi Vineyards and was simply exceptional! His deep musicality is obvious form the moment he starts to play, but Toshi also exhibited a remarkable sensitivity to the dynamics of the room. In other words, his music truly enhanced the experience of all of our attendees, so much so that several approached me the next day to remark specifically on how much they enjoyed Toshi’s playing (and it wasn’t the sort of crowd that’s easily impressed). On top of his musical ability, Toshi was also very professional, reaching the venue early to ensure that he was ready to go before any attendees arrived. And, for someone whose music is recognized globally, he’s incredibly gracious and humble. I can unequivocally recommend Toshi for anyone in search of a musician with the talent and panache to enliven an important event.